Peachie.nu Peachie.nu | "More is possible than you can imagine"
Sometimes we need a little wake-up call. Deep down we know that this life is full of endless possibilities and that most things are accessible to us if we really want them. We need a puch somethimes, and a reminder other times, and that's what I'm thinking I want to give to you today. I have just signed up for a marathon next year and feeling high on life. If I can chase my dreams, so can you. I have just come back from two hot and sunny weeks in Greece and sure, it's a lovely place in so many ways but oh lord was it hot! I'm not made for heat, that's much for certain. I spent the days in my hotel room and only went out for a swin in the morning, and then again after five in the afternoon. The A/C unit worked 24 h throughout my whole stay. I don't think I will visit any of those Mediterranean countries at summertime any time soon again. Now I am longing for the upcoming winter holidays. 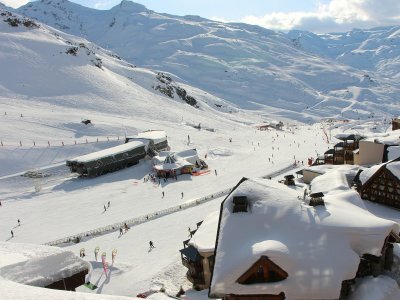 I know winter is still far away, but I have decided to visit the Alps this year, Val Thorens to be specific. At those huge ski resorts you have everything you need and more - perfect skiing, crazy party nights and for evenings when there's no energy for party - cold beers in front of a cosy fireplace. I think my best travels have been to ski resorts, I just love everything about them. Im checking freeride.com and plan for next winter, they have all kinds of cool information from locations to snow report and powder finder. How cool? I have never been to Val Thorens before but I've heard all kinds of great things about that place and some of my friends feel like going there so I'll gladly tag along. Until then I'll just enjoy a - hopefully - cool summer right here. I love having things in order at home but it seems like I canät keep up with myself, because nothing is ever in order. I have been so inspired now by all these girl bosses on Youtube so I think that I am going to spend all of this sweet Sunday organizing my bedroom and - most importantly - my closet.